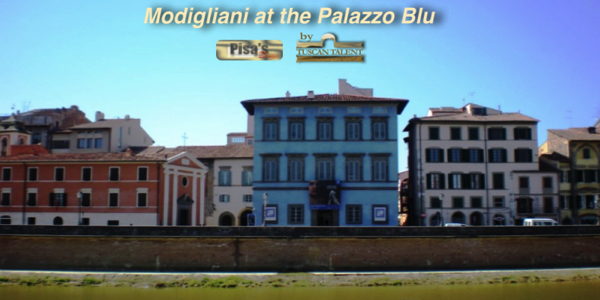 On display in the bright, airy rooms of the Palazzo Blu in Pisa is a new exhibition demonstrating the life and times of the extraordinary and prolific Italian artist, Amedeo Modigliani (1884 – 1920). A large selection of his works together with some of those of his contemporaries taken from large private collections, the Musée de l'Orangerie and the Centre Pompidou in Paris has been expertly assembled and curated by the Modigliani scholar, Jean Michel Bouhours, who is also the curator of the department of modern collections in the Pompidou Centre. 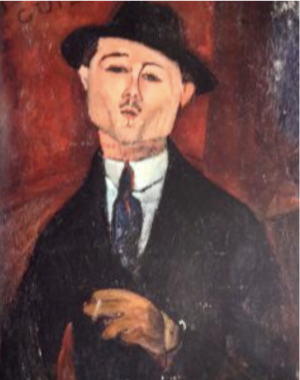 Visitors are taken on an exciting journey, from Modigliani’s formative years as an artist in Livorno to his final creation; a self - portrait painted just before his untimely death in 1920. 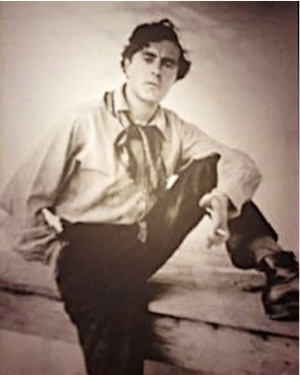 Famous for his portraits and nudes, Modigliani’s style is so unique that it is difficult to fit into any one particular category. 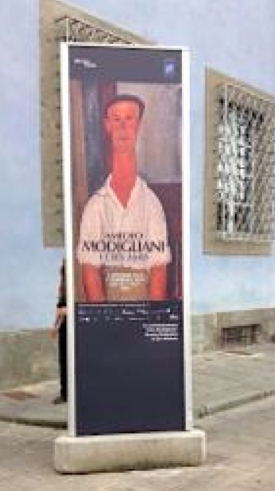 It seems that at last, Modigliani’s genius is being celebrated in his own province in the same way that Puccini, who died in 1924 is recognised in his home city of Lucca. 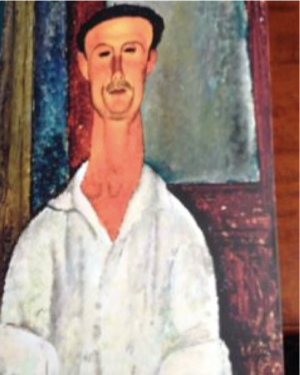 In fact, Modigliani’s dramatic biography reads like the libretto from one of Puccini’s operas - La Bohème in particular comes to mind. Amedeo’s story begins in 1884 when he was born into a Jewish bourgeois family in Livorno. His mother, Eugenia recognised his interest in painting and took him on a grand tour of Italy, where he was able to immerse himself in his cultural heritage and learn all about Renaissance and Classical art. 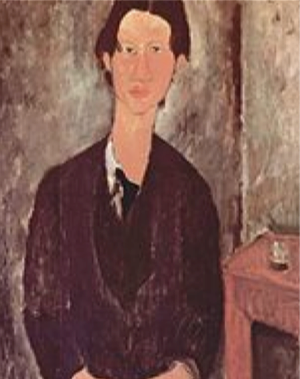 Modigliani’s struggle with ill - health began at an early age and during his teens, his mother took him to Capri to aid his recovery from tuberculosis. During these years he was encouraged to read the philosophical writings of Nietzsche and Baudelaire, D'Annunzio and Comte de Lautreamont and was fascinated by their insightful interest in corrupted beauty through Symbolist imagery. Later, once he had discovered narcotics he came to believe that the only way to arrive at true artistic creativity was through defiance and disorder. 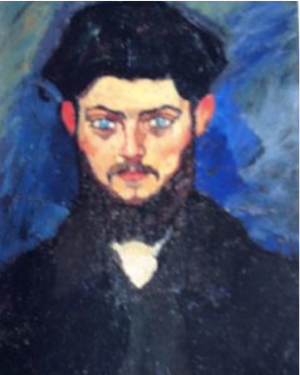 In 1906, Modigliani settled in Paris, where he found himself amongst the avant-garde and was rubbing shoulders with the likes of Picasso, Toulouse -Lautrec, Georges Rouault, Brancusi and Soutine. 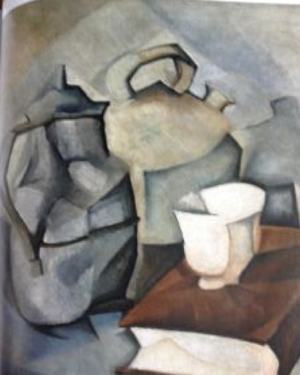 Cubism was a strong influence and it was at this time that he began to develop and mature as an artist. After a year spent in Paris, already addicted to drugs and alcohol he decided to finally renounce his bourgeois upbringing and live in complete chaos, intent on a seemingly endless path towards self-destruction. Perhaps his behaviour was affected by the frustrating knowledge that few apart from his fellow artists were aware of his artistic talent. He was also struggling with poverty and chronic ill health, with the possibility of an early death from tuberculosis always looming on the horizon. However, despite his reckless lifestyle he continued to work feverishly, sometimes producing more than 100 sketches a day and was strongly influenced in his use of large, flat areas of colour and his trademark long, distorted necks by the paintings of Cezanne. Inspired by his friend, the sculptor Brancusi, Modigliani began to create his own sculptures and found inspiration in Egyptian masks and statues as well as those of other cultures. He usually created heads rather than full figures and used simple elongated and vertical forms. A selection of his sculptures and those of other great artists such as Brancusi are on display in the exhibition, as well as a series of photographs taken by Brancusi himself. However, much as Modi (as he was known to his friends) loved this work, the dust and splinters entered his lungs and the ensuing illness forced him to stop. After 1915, he once more devoted himself entirely to painting, producing some of his best work. 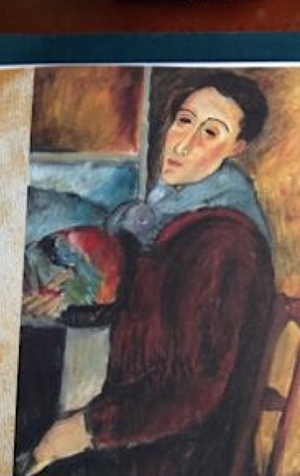 Modigliani could often be seen people watching and sketching outside the cafés in Montmartre. He would draw faces on blank sheets of paper, exchanging them for a glass of wine. He continued to paint his favourite subject, the human form and great artists like Picasso, Soutine and Gris sat for him. The influence of Egyptian masks and sculpture continued, especially in the treatment of the sitters' faces, which are flat and masklike, with almond shaped eyes, triangular noses and elongated necks. 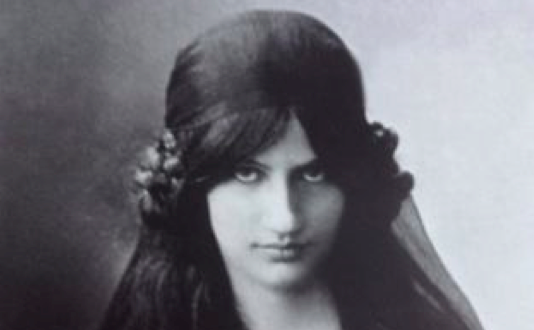 In 1917 he met the love of his life, a young art student called Jeanne Hebuterne and they quickly became an item. The following year she gave birth to a daughter, also called Jeanne. 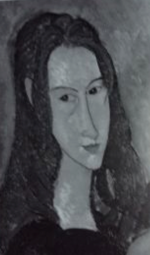 Sadly, Modigliani died penniless at the age of 35 years whilst in the grip of tubercular meningitis and his distraught partner, Jeanne who was once more pregnant, threw herself from a window on the fifth floor of her parents’ house, killing both herself and their unborn child. This wonderful exhibition continues until February15, 2015 and information can be found here.